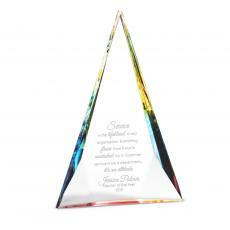 The elegance of this crystal award is complimented by a sweeping design of color. We're currently collecting product reviews for Tidal Crystal Award. In the meantime, here are some reviews from our past customers sharing their overall shopping experience.